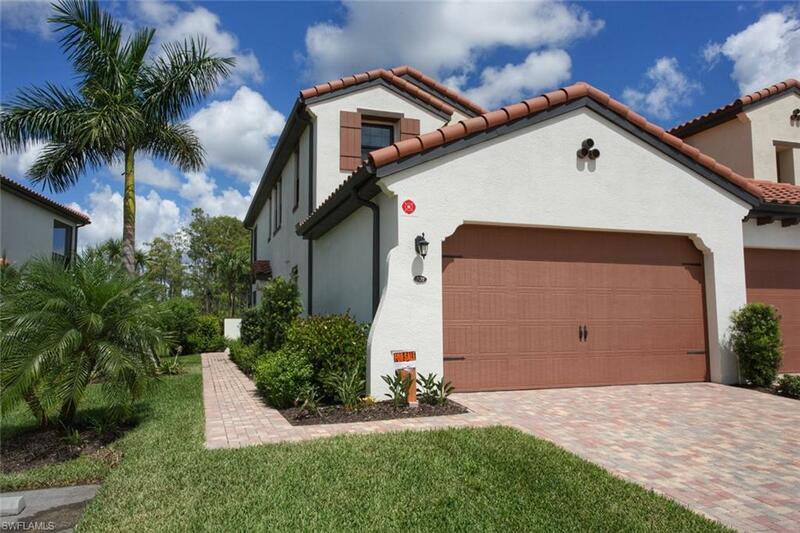 Carriage home overlooking private preserve in Arborwood Preserve community. This is first floor condo with no maintenance. Buy practically new construction with all the "luxury" interior upgrades by WCI, the original builder. Community location is central to airport, ball fields, shopping, and the SWFL beaches just a short trip away. Condo is only a block away to Town Center, short walk to all activities and your mail room. 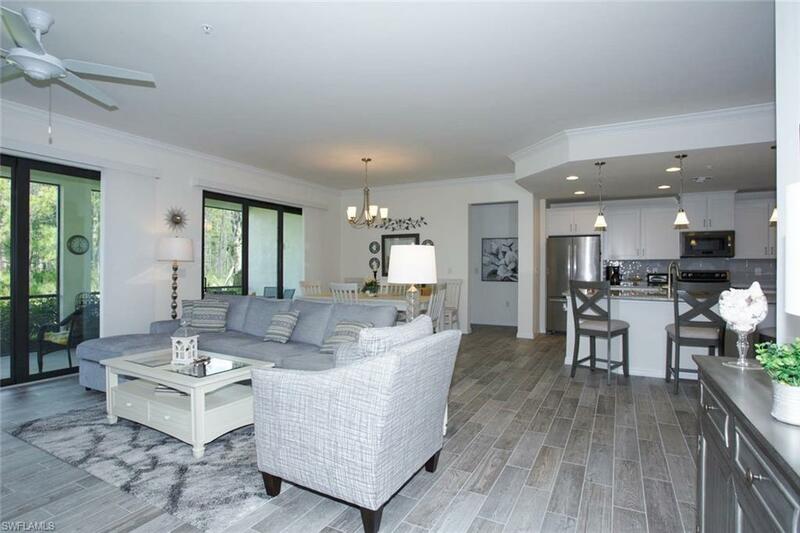 Floor plan is open and everything is new; cabinetry, coastal wood-look tile, granite, backsplash. Bathrooms are beautiful with and luxury upgrades. 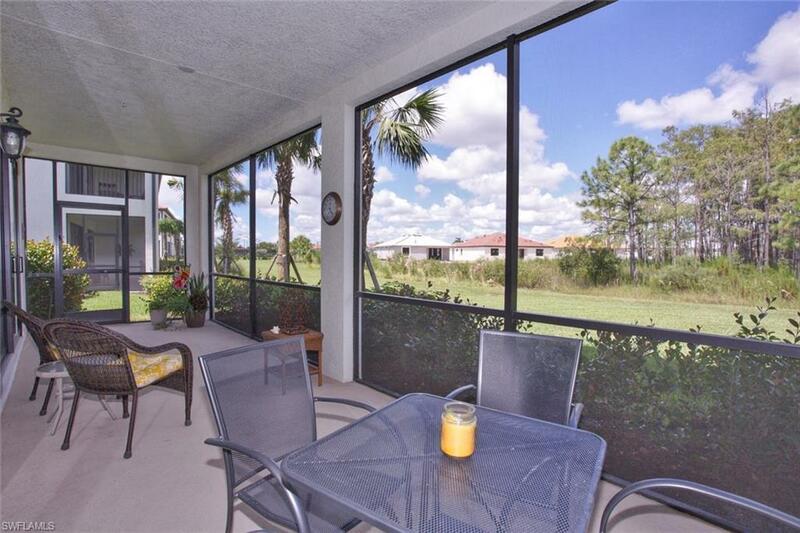 The lanai is spacious and all windows and doors are hurricane proof. Nice den or TV/study room with lots of light. 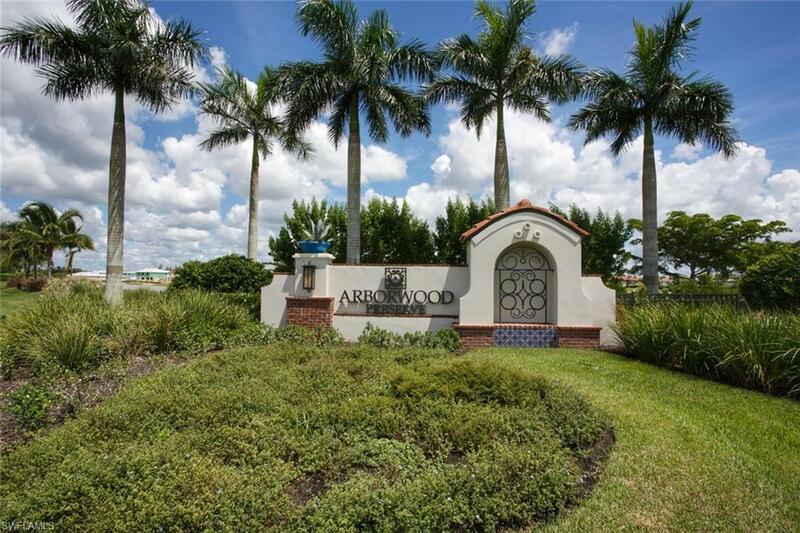 Arborwood Preserve's 23,252-square-foot Town Center will offer something for everyone. Community pool, sauna, tennis, bocce ball, pickleball, fitness studio, firepit, coffee lounge, clubhouse theater, card/craft/board rooms, and outdoor dining and bar.